On its MySpace page, Midwest Irish Focus has posted a picture of the year 2007 in pictures, if you know what I mean. As reviews of a year go, it’s shorter than mine. Can you name everybody pictured? 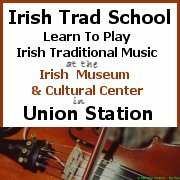 This entry was posted on Wednesday, January 2nd, 2008 at 8:51 pm and is filed under Midwest Irish Focus, Photos, Reviews. You can follow responses via my RSS 2.0 feed. Both comments and pings are currently closed. Pete does a fantastic job with his paper. Too bad it only comes out monthly. Monthly is plenty enough, my dear. But I thank you for your kind words and hope to show up at a performance of the equally-wonderful “Lucky Charms” one of these days.